This Hooded Checked Flannel Sweatshirt from Urban Classics is a great alternative to a jacket. 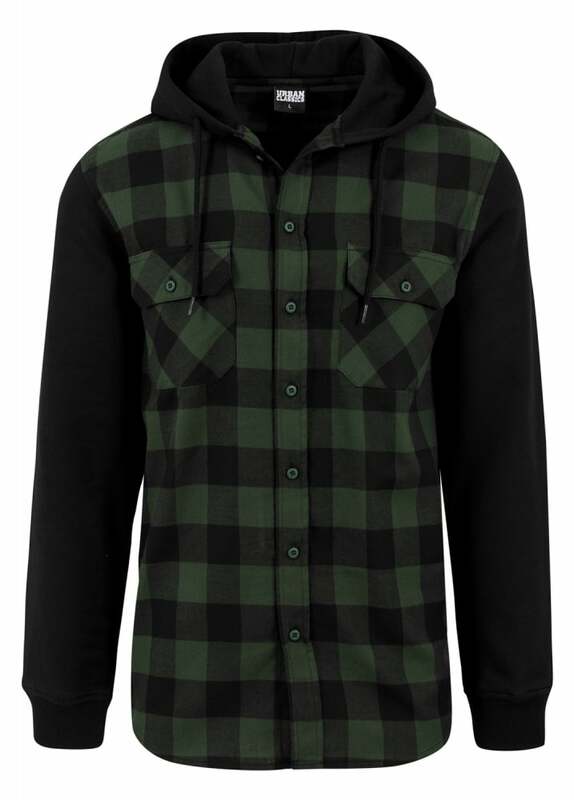 Lumberjack style green and black plaid flannel with contrast plain black sleeves, this hooded top has a button fastening front and 2 breast pockets. It also has a drawstring hood.